In order to support a new stage of its development, KEMIWATT appoints Guillaume Chazalet to his presidency and integrates Mathieu Lassagne into its Strategic Committee. 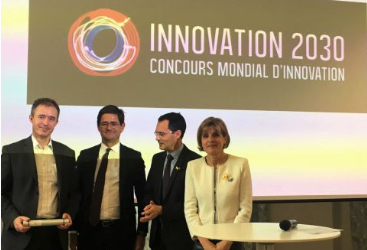 Kemiwatt wins the World Innovation Contest – phase 2 ! Since its creation in 2014, Kemiwatt has made several world premieres, with the first organic Redox battery prototype in 2016 and the first industrial demonstrator in 2017.